SLIP Plate® Hot Oven Chain Lubricant is designed around unique, natural graphite that offers superior lubricity under extreme conditions. 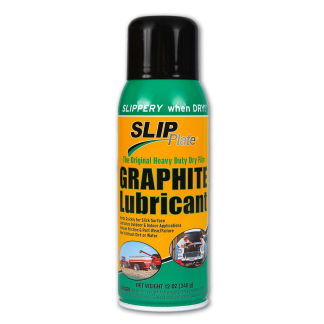 This water-based emulsion effectively carries the graphite to the chain pins and bushings, lubricating the entire chain. The unique binder system utilized creates a very durable coating. The unique particle distribution allows graphite particles to penetrate very tight spaces unlike other competitive products. All SLIP Plate® oven chain lubricants are registered with NSF under H2 category acceptable for non-food contact. Stir material prior to use. It is important to properly stir the material with a hand stir stick or paint mixer. This allows any graphite and bonding agents that may have settled normally during transportation to be properly mixed. It is normal for the material to settle, but the unique graphite powder utilize will quickly and easily go into suspension. Prepare your surface. 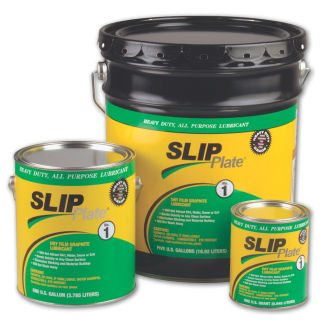 The most important part of the coating process is proper surface preparation. Remove any loose debris, rust or grit prior to coating if possible. Wear proper painting equipment. It is important to follow all appropriate OSHA safety standards and wear a mask and protective clothing as needed. Apply with exhaust blowers running. It is important when spraying this product that exhaust blowers and fans be operating to prevent build up on dust in the area. The use of paint masks is recommended when using this product. Apply by roller, brush air or airless spray equipment. Apply material as you would for any normal paint job. When applied by air or airless spray equipment, the recommended wet film thickness should be 2 to 4mil. When applied by a brush or roller the recommended wet film thickness will be 2 to 5mil. Surface temperature should be above 250°F (121°C). 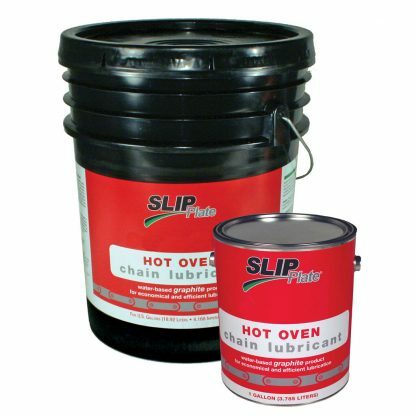 Application of this product to cold surfaces (<200°F/93°C) is not recommended, as this will affect the bonding performance of the product. When allowed to dry properly the coating will not be affected by temperature extremes. Clean up material with soap and water. Material once dry will be very difficult to remove from painting equipment. If removal is required after coating has dried, cool completely the oven and turn off all sources of ignition. Use a solvent based paint cleaner to remove. Note, these chemicals may damage underlying painted surfaces and are flammable so clean well away from open flames, sparks or other sources of ignition. Product is registered with NSF under H2 category acceptable for non-food contact. Not for use in direct food contact application. Graphite powder is electrically conductive and must be used carefully around electrically sensitive equipment.